Please use the narrative and the forms provided from the links below to place your mission orders. Please call if you need assistance, we are always glad to help you navigate this task. 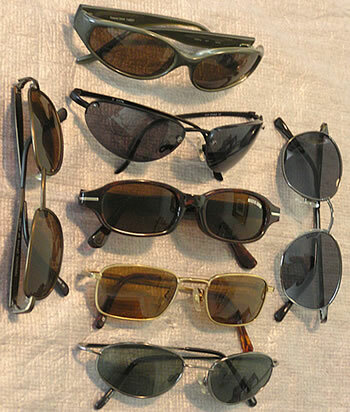 Simple bulk orders of readers or sunglasses can be ordered directly through this store with shipping later being adjusted to cost. 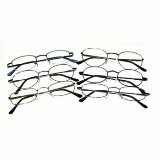 They are metal alloy, spring-hinged frames in unisex (man or woman) styles. The lenses used can be standard CR-39 (plastic) or impact resistant/ 100% UV protective polycarbonate. The purpose of these glasses is implied in the name: Starters. As representatives of different cultures and much more advanced technologies, it is imperative to recognize vision based mission work as an entry point. These prescription glasses may very well be the best an individual will ever get to see in a difficult life situation. But please remember that to use them is to understand that they are an entry point into vision care until a local infrastructure of eyecare can be established. That means along with the dispensing of these prescription glasses you must educate the receiving person that these are the beginning of vision care. That they do not fix medical problems like cataracts or pterygium but that medical surgeons may be able to. That they may help a person see better but that only a certified doctor can ensure a perfect prescription. In short, these prescription glasses will help change an individual's visual world but it is also your responsibility to let them know that they are the first of many things that can help. If you are using this product, please consider taking one of our training courses and always try to work with a local doctor in the community you are assisting. Together we are CHANGE.